A remarkable excavation in the town of Exning, Suffolk, England may have uncovered members of the royal family of the ancient Saxon Kingdom of East Anglia. Twenty-one graves with rich grave goods, some imported from the Continent, dated to about 650 AD, point to this possible connection. One of the key imported grave goods from this find is a glass bowl probably made in the Rhineland. The news article above includes an image of this, which would have been a very high status item in early Anglo-Saxon England. 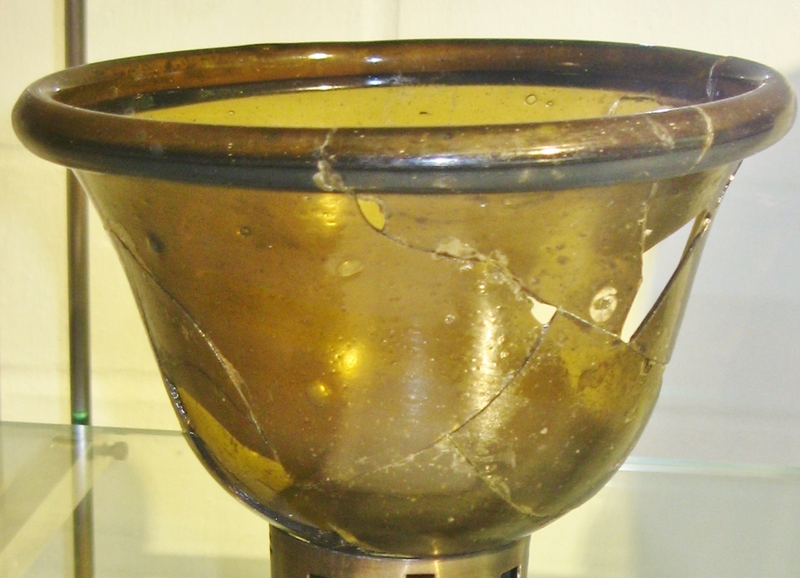 Here is an image of a similar bowl, on display in the Dover Museum. We will report further as more news of this discovery becomes available. Previous Post Remarkable News from Greece on the Amphipolis Tomb and More.